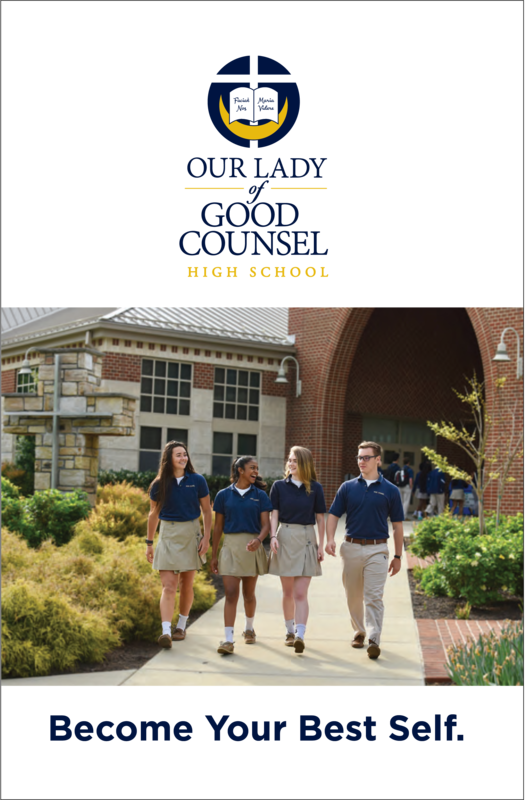 Our Lady of Good Counsel High School is a place where young men and women who have a desire to make a difference in this world begin their journey. 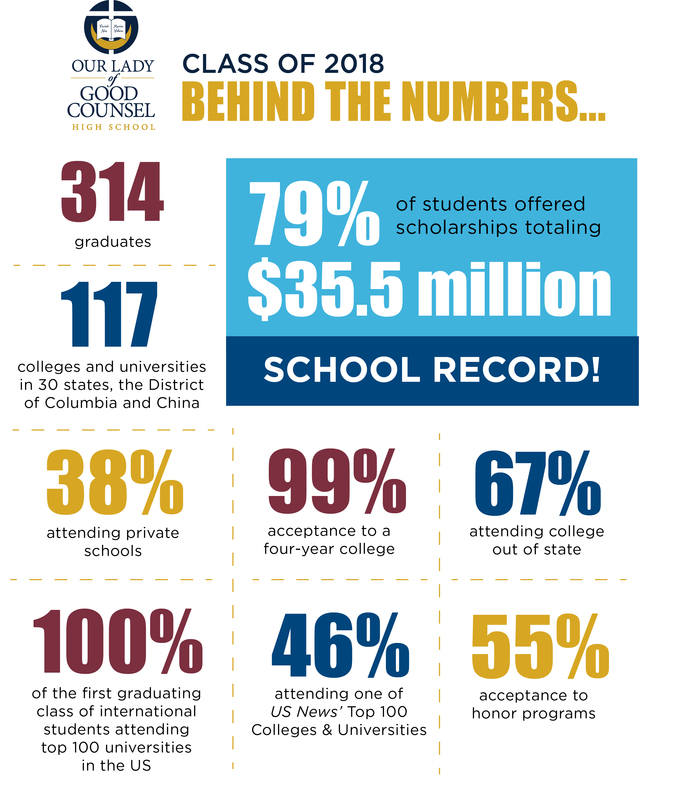 Our Lady of Good Counsel High School is a place where young men and women who have a desire to make a difference in this world begin their journey. We welcome students of all faiths and diverse backgrounds, and promote a culture of excellence and achievement in Catholic education. Our students thrive in a challenging college prep academic program that includes courses at the Advanced Placement level. Our International Baccalaureate program is one of the oldest in Maryland and was the first Catholic school in our region to offer the challenging curriculum. In addition, we offer a wide range of extracurricular activities that allow our young men and women to grow intellectually, spiritually, creatively and physically. We welcome you to spend some time exploring our website, which offers a wealth of information. Be sure to visit our beautiful 50+ acre campus and follow our social media accounts linked at the bottom of this page to see all the incredible activities that are happening here. Is there a separate application for academic scholarships? 213 members awarded a four-year scholarship total of over $33 million - the average award per graduate is the highest in school history. The Admissions Office has approximately 750+ active applications each year. From those, Good Counsel selects a freshman class of 300. There is no additional application for academic scholarships. There is a separate form for Fine Arts scholarships, as well as Speech and Debate scholarships. Academic scholarships are awarded based on the applicant's performance on the Archdiocesan Entrance Exam (the HSPT), transcripts, the application essay, and extracurricular achievement. The typical recipient scored better than the 95th percentile on the HSPT, has a history of superior classroom achievement in challenging courses, and has an essay and list of extracurricular achievement which stands apart from the rest of the applicants.